Factory fog lamps cost upwards of $398 BlingLights fog lamps install within the factory fog lamp spots, outperform the factory fog lamps and cost less guaranteed. Your favorite ride never looked so good. Experience the future of driving via an astonishing daylight-like visibility thanks to BlingLights BL-300w proprietary light technology. Featuring a fog and driving, light-on-road pattern fused with high-visibility blue accent lights, BL-300w xenon lamps can be easily seen in virtually any light including direct sunlight. You can also adjust the light for a unique experience. Designed to imitate the appearance of ordinary dealership fog lamps, BL-300w lamps light like original fog lamps and is compatible with the factory wiring and or light controls. In addition to increased visibility, BL-300w includes everything needed to install, BlingLights’ BL-300w fog and driving lamp kit includes a BL-SW11 3-function switch that blends cleanly into any flat surface within reach or out of sight. Items ship out fast the same or next business day from the time payment is received from the closest shipping facility. Shipping is available to any country worldwide. International shipments are sent out with prepaid customs, taxes and duty so there is usually no other costs. For any other shipping related questions please contact us. Does the kit include everything I need? Yes, the kit includes 2 lamp enclosures for left and right side, powerful H3-55 watt 4100K bulbs, 10,000K LED bulbs, adjustable mounting hardware, complete wiring kit with relay and fuse, BL-SW11 switch, photo installation directions, free phone and email support and 5 year warranty. What types of bulbs come with this kit? 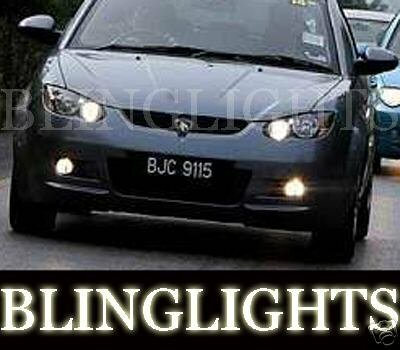 Two powerful, genuine BlingLights H3 bulbs with an output of 55 watts a piece, 110 watts total! These bulbs are designed for maximum output and durability. The bulbs generally last many years without the need for replacement. There is a good chance the bulbs will outlast the life of the vehicle. H3 replacement bulbs are a common size bulb and can be purchased through us or anywhere else automotive bulbs are sold. The parking accent lights use separately included 10,000K LED Bulbs. LED bulbs don't burn out and never need replacing. This product was designed for show use only. Laws may vary from state to state so check local laws regarding use of this product while traveling on public roadways. The manufacturer assumes no responsibility for damages, fines or claims resulting from the use of this product. Design and specification are subject to change without notice.